What is your long-term objective? Where do you see yourself going in two to three years? There are immediate goals and there are some great people that push that very heavily, but your whole life, your whole future does not revolve around a one, a two, or a three-month goal because the industry changes so much. 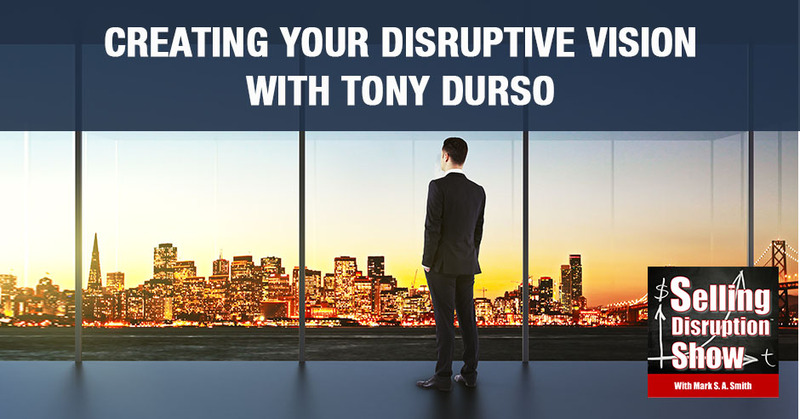 TV and radio host and bestselling author Tony DUrso looks at it like a giant inverted pyramid and developed the vision map. He has a unique way of approaching business which he talks about in his book called The Vision Map: Beat the Odds for Your Business Success. Tony take us through his 40-page book and shares how creating your disruptive vision can be the start of the best day of my life. 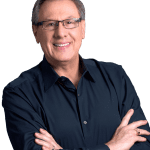 My guest is Tony DUrso, who’s a TV and radio host. He’s a best-selling author. He has been in the business of sales for a very long time. What caught my attention is that he has a book called The Vision Map – Beat the Odds for Your Business Success. Business vision is one of the things that I talk about in the executive strategy summit. He has a unique way of approaching it and he is going to share with us his 40 page-book. Welcome, Tony. Thank you so much for having me on The Selling Disruption Show. It is such an honor and a privilege to be here on your show. Thanks so much for the invite. You’re welcome. I’m looking forward to sharing your insights with my readers. What prompted you to write The Vision Map? I’m going to step back to answer that question. In 2007, I was an entrepreneur doing lead generation and marketing. I had my own business, I had lots of clients and in that seven-year period, I had major federal regulations that severely impacted my business. To give you an example, one particular client. I was doing over $1 million a year in sales and marketing services. 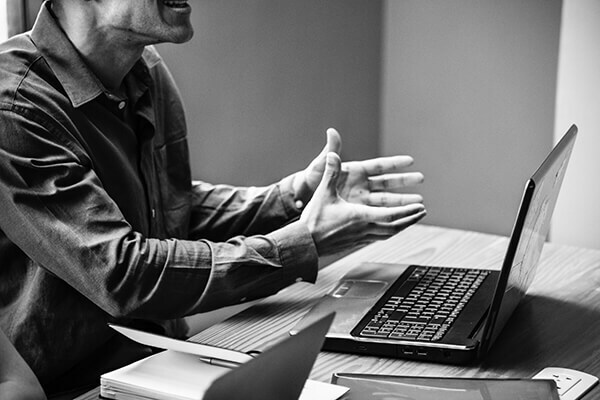 Their attorneys got together and they decided that because of a new Federal regulation, they had to change how they dealt with any marketing company. They couldn’t take any marketing services from anybody and that just immediately like a guillotine shut that down while I had other clients, but four times major regulations came in. I said, “I’m going to go find something that I can control a lot better.” That’s how I actually got my start into podcasting. That’s very important because there’s the 30, 60, 90-day, there’s the immediate goal and there are some great people that push that very heavily, but I have to say your whole life, your whole future does not revolve around a one, two or three-month goal. McDonald’s, Chevrolet, Pepsi Cola, Mercedes Benz, Coca-Cola, they did not become the iconic brands that they are from just having a one-month goal. The industry changes so much so I say two to three-year crunches there. I worked out, “This is where I want to do in two to three years and then, what’s my master plan? How am I going to do it? What’s my strategy? This hill is the key for me to leverage myself in this particular industry. How am I going to do that? What are my tactical steps?” All the way down to, “What am I going to do in a one or two, three-month goals?” I call it the 30, 60, 90, “What am I going to do on a day?” It’s like this giant inverted pyramid. As I looked at it, I realized I had something very unique that I haven’t seen at any seminar, workshop, book just listed out that way. I call it The Vision Map. What did you do with that map? With that map in under three years from zero, I wound up with two high-profile talk shows. In my second year of Revenue Chat Radio, which is my first talk show, I was invited to join VoiceAmerica and be under Influencer’s Channel, which in about four or five months, I became the number one show on VoiceAmerica Influencer’s Channel. Under three years on both shows, I have 2.5 million downloads. In my second year, I issued a book, Easy Sales Procedure. It became an Amazon bestseller. I did two TV shows, the pilots are out there and they’re on my website, TonyDUrso.com. I am now the managing partner of two magazines. Each one has over 10,000 audience. One is called Influential People Magazine and the other’s called International Fitness Fashion. My fifth book, which is The Vision Map, I’ve done all of this and under three years and I’m giving that book away for free. It’s going out in a nice 200 to 250-page book and until my publisher says, “Tony, take it off,” it’s on my website. I’m giving that away for free. These are some of the things I’ve accomplished and it just shows that when you really set your sights on something like that and stay focused, which I teach, you can really make it happen. It requires a vision of what you need to be clear on comes clarity of vision, it doesn’t go the other way around. You created this process that allowed people to figure out what their vision is, what their purposes, and then break that down into chunks to daily activities. You gave us a high-level view of what that’s like. Let’s just go back and fill in some blanks. You want people to start off with what you want your world to look like. Walk me through what this process is. This can be for your life, career and even for a relationship. It works in any field. What do you see yourself in this area? What do you see yourself doing? I like to tie that in with the three to five-year long-term objective. You’re looking at the past as if it had already happened and you’re looking back at your life, your ideal scene. Call it a game, call it play, call it pretend, but just look back and go, “I’m going to go four years in the future and I’m going to go look back at my life. I’ve got a great talk show, I’ve got three million followers and I’ve got this and that.” Start putting together what you would like to see yourself accomplish as if it had already accomplished. That’s a really powerful exercise. In fact, there’s a name for that and it’s called Creating History. One of the best ways to do this is really pretty simple. Pull out a calendar with that date on it, one year, two years, four years, five years into the future and just sit there with a cup of coffee and use words that are past tense as you describe the experience that you had sitting in the future looking back and figuring out what you did to get you there. It’s really important. You’ve got to use past tense. I’m so glad I had three million listeners and I’m honored that three million people decided to listen to my podcast. The book Beach Money by Jordan Adler, he explains how he did it. This is not a fast process where you just say, “I know that. I could do that.” Let me bring in the example of the person that went to a two-day workshop and he spent $2,000 to be at this workshop. Sitting next to him was someone who got in at the last minute, got a discount for $200, I was like, “My goodness.” I’m not asking anyone to pay, I’m just using this as an analogy. The person that put in $2,000 for that workshop really worked it because he put in every penny he could. He borrowed some money for that. He put his life into that workshop. He made it happen and now he’s a millionaire. That person that put in $200 was like, “This is good.” He never did anything with it. While this sounds really simple, you could take a whole afternoon, you could take a week just really working out what is your vision just that one step. It’s a very quality, condensed amount of time that you would put into this. Disruptive Vision: A vision statement often gets confused with a mission statement. Although most of us should figure out what our vision is pretty rapidly. The reality is that many people that I work with don’t have a clear vision and their vision is hung over from the days where they went to school, “What’s your vision?” “To get out with bees.” That’s not how life works anymore. You get a chance to and you get to create this. Here’s the deal, either you create your future or your employer creates your future and either you’re driving the bus or you’re riding on the bus. What you’re going to be? I’ve met people with all visions and I don’t want to give an adjective to it just very different. I met one person and his whole life’s vision was to someday get an apartment with his girlfriend. Some people have a very small vision and this person, his mom eventually bought a house. There are people with very myopic visions. They don’t think they can do any better. That’s why I said call it play, call it pretend, go ahead, “I see myself three years from now. I’m onstage as a successful elite entrepreneur. I’ve written two books. I’m a bestselling author. People love me and pay me $10,000 to speak. Is that crazy?” Even if you call it play or pretend, just start writing down what you think is realistic for you to be, to do and to have in the future. A while back probably a decade and a half ago, Mark Victor Hansen and Jack Canfield wrote a book called The Aladdin Factor. The book probably should have been an article because the basic concept is simply this. Sit down with a piece of paper and write down 100 things that you want to experience or have in your life. A lot of people do pretty well getting up to about 30, but it’s hard to get those last 95, 96, 100. This is an exercise that I’ve done on a semi-regular basis, every couple of years or so. I took that sheet of paper into a place where I’ll discover it and I am always blown away that 70 items on that list had been checked off. The fact that you wrote it down activated something within you to bring it into your life. For The Vision Map, there’s an audio reading of the book, just a couple of bucks, where I read it and give additional information. In the training video that I have with it, also just a couple of bucks no big deal, I show how I actually use The Vision Map to create my future for Revenue Chat and my radio shows. I show you how I get things done and there is a very important point. The reason that I’m bringing this up and this is on my training videos, there’s still more on there, but here’s your couple bucks. I’ve tried so many methods in the past. I’ve tried software and I’m not going to name any software, I’ve tried methods, I’ve tried methodologies. In terms of my things to do, my list, my life, where I’m going to put things on my computer, but the thing is when you put your daily things to do or your list of priorities on your computer, you have to minimize it or get it out of the way sometimes. You have to make room on your desktop and when you shut your computer off it goes away. I was always trying to figure out, “What is it that I have to do?” I go back to the computer, go look for the list. I’m not even joking, when you talk about your Aladdin’s lamp and your magic, I use a pen. It’s magic. I write something down and it doesn’t matter if there’s a blackout or if the power goes down or if my computer is full. I’ve got this little piece of paper sitting right here, I’m always looking at, “What do I have to do next to move towards my goal?” They get done. I have these daily action items. I check them off. They get done and it doesn’t disappear. I’ve tried so many things. I cannot stress enough how important it is to literally and physically write things down. In the training video, I show a very unique method to make it very effective in getting things done. I am completely with you. I hold in my hand a 3x5 card that has on it the six things that I want to accomplish. Three are must-do and the other three are, “If you can get to them, that’s great.” It sits front and center to keep me from going after that next bright shiny object or like most bright people, you and I, are easily distracted because, “That looks cool. Let me check that out.” The reality is that we have to keep focused. There was an article published in the Harvard Business Review that talked about the difference between things that were written down and things that were typed into a notepad. What they found is that what gets written down gets done. What gets typed, not so much. There is absolutely a correlation between pen and paper and creating that outcome, creating that vision and typing it into your computer. In my Executive Strategy Summit, we have a note taking approach that everybody in the room uses, it’s 3x5 cards and Sharpies. When you get an idea, when you have an action you want to do, you write one action on a card and a Sharpie that’s big enough for you to see three feet away. That is what people get done. They ended up with stacks of cards all over the desk, they’re writing, they’re annotating and they’re adding other ideas to the stacks. They assemble those cards together and they create a sequence in order in which they’re going to accomplish these particular outcomes. It’s a really magical process. Then they handwrite their business plan. We have one sheet of paper. Side one is the strategy, side two is the tactics. It is handwritten. As you pointed out without a doubt, without that handwriting, it just doesn’t have the same impact. I’m so glad that you brought that up. What are the secrets that have you learned? In that training video, there is a way and I understand the 3x5 cards and I love that. You can get to a point where, “I’ve got to do this and I don’t want to forget about this. I’ve got to do that.” You get these other ideas, which are really great. There’s more than what will fit on one 3x5 card. I have a system where nothing ever gets forgotten. Nothing ever gets lost in terms of that career, that focus and that lifestyle. I have the system for me as a personality radio, TV show host and an author, I don’t put, “Go to the store and buy milk,” on there. I don’t go, “Got to hang out with the wife. Get gas in the car. Walk the dog.” I don’t put any of that on there. This is strictly for that vision. When I get ideas, sometimes I’ll wake up in the middle of the night, I’ll have the pen there, “That’s a great idea.” I’ll write it down and nothing ever gets lost. I eventually get everything done and it’s very rare that I go, “That sounded like a good idea,” but it’s not 99.9% of the time I get every single idea done. You’ve got to check that out. Disruptive Vision: Have your vision and tie in your purpose with that. Give me some examples of good vision and bad vision. People get confused on what vision means and what’s a good vision and what’s a bad vision? I’ll just give you one case study. I do mentor people. I took on a client who was selling health products, five items a month. I mentored him. We spoke once a week, I gave him a list, I gave him things to do and I taught him The Vision Map. That’s all I did was teach him The Vision Map. By the end of three months, he was selling twelve products a day. That gives you an example. I actually wrote down some examples of good visions and bad visions and I will explain a little bit more. Here’s an example of what I consider a poor vision statement. A vision statement often gets confused with a mission statement. There are companies I think to get money sometimes from SBA or capital investors, you need a nice well-crafted mission statement, which is fine but by itself, it’s nothing. By itself, it doesn’t do anything. By itself, it doesn’t get anything done. That’s where The Vision Map really comes in. Most new businesses fail. A Harvard study says six out of eight new businesses fail in the first eighteen months. A Harvard study says, three out of every four venture-backed firms fail. The SBA says, about 50% of new businesses fail in the first five years. They were all funded. It’s not like, “If I had a million dollars, I’d be successful.” They had the money and they failed because it’s more than just, “Here’s my mission statement.” It’s much more than that. Here’s an example, if you wrote, “We want to give our customers the best shopping experience possible from choosing quality items through a fast and friendly checkout system with the speedy delivery system at the end,” that’s a really good vision statement but by itself, it’s not going to do anything. By itself, that company’s going to fail. By itself, they’re just going to have to go back to the drawing board. It sounds tactical to me. It sounds like every other business. It’s got nothing attached to it. Take a look at the five-year-old, the six-year-old, the ten-year-old child that says, “When I grow up, I want to be an astronaut,” “I want to be a ballerina,” “I want to be a fireman.” Let me ask you, Mark, let me ask your audience, do you literally know any child that became what he or she stated that they wanted to be when they were young? When I grew up, I wanted to work in Jell-O factory. I’m not kidding. It’s actually written down in one of my mother’s logs and no, I did not end up working at a Jell-O factory. It’s just weird what we do. For me, early in my career I was really interested in audio, so I ended up in radio. I found out I couldn’t make any money in radio so I do a lot of other things instead. Yes, it’s true. Most of us have no idea what we want to do and what we end up with. I’ve interviewed hundreds of people, millionaires and billionaires in training and aside from one person, perhaps nobody had their life handed to them. Everyone went through trials and tribulations and trying this and trying that. Through intelligence and in perseverance, they kept focused, they kept on it until they found a vision and a product and something that they could connect with. I have so many case studies on my shows. Here’s another example of what I consider is a bad vision statement, “From the moment you walk into our salon, you’ll feel good about yourself. After our wonderful, happy staff takes care of your needs, you’ll feel great like you’re walking on air.” That’s almost an actual fact from a salon that I saw. By itself, it does nothing. The service is terrible, you have to wait, there are disgruntled people leaving. It just doesn’t do everything by itself. If you had the rest of The Vision Map in place and it is a map, you can take anything like that, tweak it, hone it and really make that business successful. Every business I’ve seen in my use of this so far, I’m having tremendous success. It’s been about three years now that I’ve done my Vision Map on my business. I have to redo it, I have to refigure out who am I now because I’ve gone beyond what I thought I would do in two to three years. We should be growing. It’s always shocking how much we can achieve in the long-term and how little we can achieve in the short-term. We take a look at your to-do list and didn’t all get done yet. A couple of years, three years down the road, it’s stunning what we can get done. There are steps every day. You have to stay focused on that vision. You have to understand the total outcome. Right now I’m working on a five-year plan. I’ve got a glorious big plan that I’m working towards and delightful people are on this journey with me and it’s better than ever. It takes a while. It just takes time. May I suggest to the two to three-year plan? Because back then in the day people had five, ten and fifteen, even twenty-year strategies, twenty-year visions. The world, the society, it changes so fast now that I would hazard a strong guess that a five-year plan after a couple of years you’re going to have to re-change it. If you do a two to three-year plan and were able to make that, if you had to take that ship off course because of major industry changes, you can do that. It’s faster to achieve something in two to three years than in five years. It is by a couple of years. I’m working on a six-month plan, a one-year plan, a two-year plan, a three-year plan, a four-year plan and a five-year plan and they actually are cascades. I expect for those things to happen, but they’re in one-year chunks with specific objectives for each one of those years that accomplishes the next chunk of the business. I think that’s what we have to do. Everything is flexible beyond and even that’s negotiable. The thing is that you have your vision. Now you’ve got to tie in your purpose with that. Why do you have this plan? Why do you have this? What is it about it? You love it. Do you love what you’re going to do or planning to do so much that you’ll do it without money? You’ll do it just because you love it? If you can answer yes to that, you’ve got a great purpose. The fact that I want to be a billionaire is not a purpose. I’ve said this many times before, I’m probably the only person you’ll ever meet, I don’t want to be a billionaire, I’m not trying to be a billionaire. That’s not my point. At my point in life, I just want to give back and help others and let the money come. If you can do that with a smile and satisfaction of helping others or whatever your product or service is, you’ve got something great there. Disruptive Vision: There’s a lot to be said for a statement with assertion. One of the pieces of advice I give to my clients is, if you can hop out of bed, can’t wait to get started for the next ten years, then you’ve got something special. I’m with you on that. I never expect to retire. I have way too much fun at what I do. The good news is my clients willingly pay me to do what I love, so I’m a lucky man in that case. 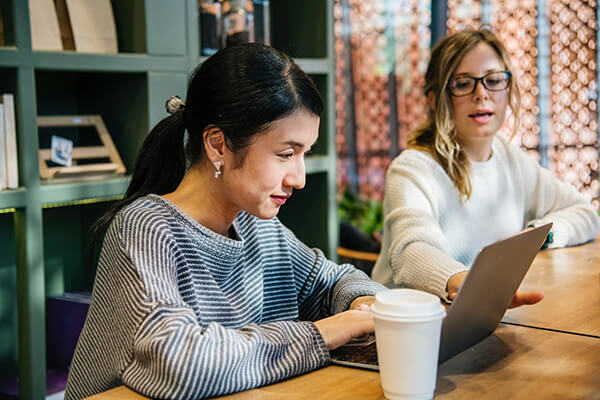 If you can indeed figure out something that you love and your customers love it too, then you’ve got a match made in heaven that will create lots of cash. I have learned through my study of businesses over the past 28 years is that mission and vision get swapped depending if it’s your business or it’s a corporation. For example, if it’s a corporation, the mission is to make money. The vision is how we’re going to make money and then if it’s your business, that gets flipped around. The vision is what you want to have at your eulogy. What do people want to say about you? What you’ve accomplished? What you’ve done to people? That’s the vision. The mission is how you’re going to accomplish those two pieces. In my experience, they move around depending if it’s a public company or if it’s your company. When there is a founder of a company that started, let’s just call it a biscuit company, and he had a vision whether or not it was stated to the employees or put on the wall, he had this vision and he took that company up the roof and it went great. After he moved on and other people took it, then their vision became, “Make money, beat the competition,” and all these other things. I have seen so many businesses, you could case study them yourself, failing after the original founder left the company. It cannot be stressed enough. In my Vision Map, I don’t have a mission statement. I don’t believe in a mission statement. I’ve done everything I’ve done without a mission statement. If you need it for protocol reasons, fine, you can do it. It’s not hard to do. The vision is where you’re going to go. The purpose, why are you going there? The long-term objective, what are you going to do? Where are you going to be in two to three years looking at things from the future? That’s what’s important. If you want to call that a mission statement, fine, but they are very different. I’ve seen mission statements and I’ve seen companies fall apart, they had great mission statements. They had millions of dollars. They didn’t make it. I don’t believe in the mission statement. Maybe the way it was 100 years ago, but the way mission statements are done, they’re not effective. I think a lot of them have changed too. The fundamentals have changed and we have to keep reinventing. 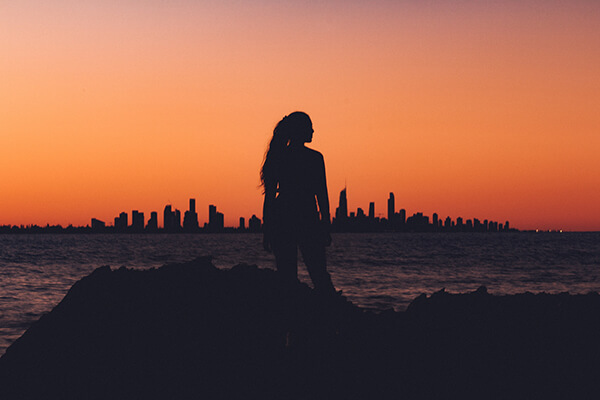 There’s no doubt that the aspects of our cultures have changed going from Boomer to Gen X to Millennials to Gen Z, which are going to have a radically different view of what’s a mission and what’s a vision. We have to stay on top of that especially if we’re going to all coexist in a multicultural environment. When I have VAs or tech people work with me or someone on my website, I tell them, “This is what I am trying to accomplish.” I share my vision, I share my plan. It’s not a closely held secret with me. The more I get people to understand where I’m going and be in agreement with it, the more and the bigger you can call it your tribe, your team, the bigger my team of power becomes because as we all know, we don’t even have to go there. Two people are far greater than the power of each individual. A team, there’s nothing like it. Look at our military, the team is unbelievable with more people. I create teams with people that helped me with anything they do with my company and that just creates and gives much more to my vision. It’s like fuel to the fire. I want to share with you a haiku, “Freely share wisdom, charge for its application, room for more appears.” It hangs on my wall. I wrote that a while back and truly it embodies what you do and embodies what I do. That is let’s create a vision and let’s put it into action. Thank you for sharing your insights on how your Vision Map works. How do people get a hold of a copy of your book? Go to TonyDUrso.com. You’ll see a link there for the book. You’ll see a little video there for The Vision Map. Just go ahead and get it. Check it out, download it, get it immediately. There’s a lot to be said for a statement with assertion. We call it affirmations, but this goes beyond affirmations and it actually works. I started telling people when people ask, “Tony, how are you doing?” I say, “This is the best day of my life.” I shock people. I started doing that and even when it wasn’t the best day of my life, it started becoming the best day of my life. Every time I say that, it becomes the best day of my life with all the goodness and the richness and the great people and all the wonderful stuff that happens. It’s just amazing. The words coming out of your mouth actually make a change and a difference. When you write it down on paper, I swear it’s like magic. Writing the words on paper is the beginning of the manifestation of your vision. 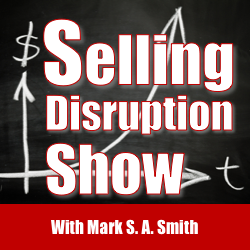 Thanks so much, Tony, for sharing your insights here on the Selling Disruption Show. It’s an honor to be on your show. I truly appreciate it. I want to thank you so much and your readers. I hope that they will find value. I’m very approachable at Tony@TonyDUrso.com. I’m really truly happy to help everyone because at this point in life, that’s the biggest joy. Those that do that and are at this level understand it’s not about money, it’s about helping. I don’t know how to put it in words yet, but I can tell you it’s intense. In the past 2 1/2 years Tony: launched Revenue Chat Radio and The Spotlight with Tony DUrso, garnering 2.3 million downloads to date; became the number one show on VoiceAmerica’s Influencers Channel; produced an Amazon bestseller, Elite Entrepreneurs; launched The Tony DUrso TV Show reaching millions of viewers and helps thousands of entrepreneurs learn from the success of others using The Vision Map™ methodology, the testament to his success.